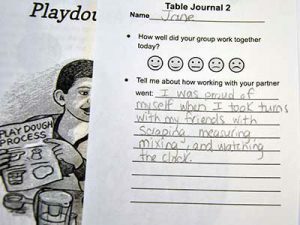 “I was proud of myself when I took turns with my friends scraping, measuring, mixing, and waiting for the clock,” read Jillian’s reflection of her participation in Ms. Melican’s STEM lab today. 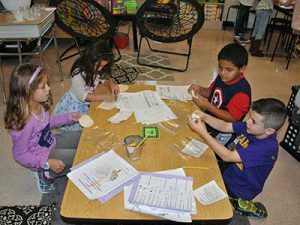 Jillian is one of Mrs. Ramus second graders who worked on designing a high-quality play dough, following the steps of engineering design: asking, imagining, planning, creating and improving. 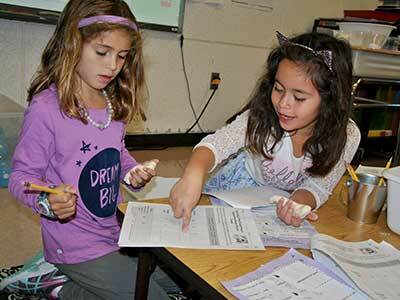 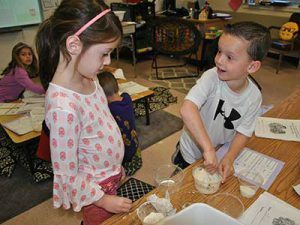 Students started with a low-quality play dough: gooey, too sticky, wet, messy, crumbly, can’t make a snake—were some of the qualifiers used in the students’ usage tests. 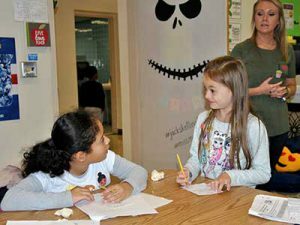 After they completed the design process, students were asked to reflect on what made them proud about their contribution to their engineering team.